None of the businesses have claimed/verified their Google listing. None of the businesses have any Google reviews. Only one of the businesses even has a website! 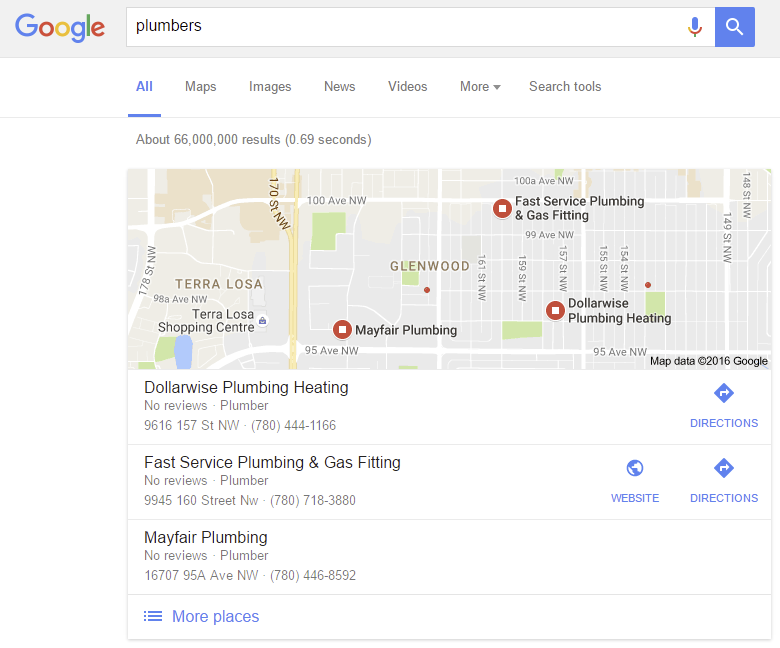 Surely, Google, there are more prominent businesses in Edmonton that deserve to rank for this term?